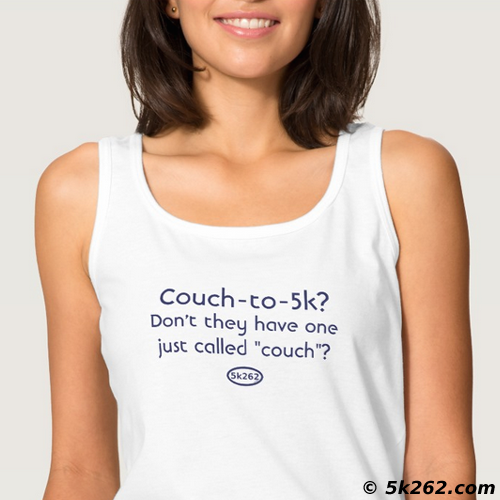 Couch-to-5k? Don't they have one just called "couch"? Don't they have one just called "couch"? This design is available in dozens of styles and colors for both men and women -- not just what is shown. This includes tee shirts, technical fabrics, and hoodies. If you have any trouble finding any of the shirts in the colors and styles that you want, just let me know! Choose your style and buy it at Zazzle.com!